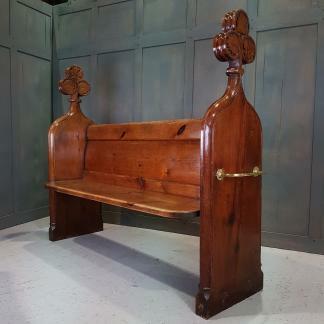 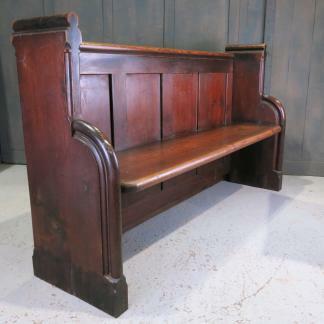 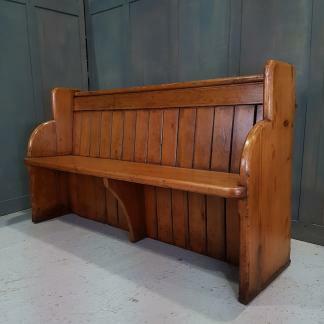 We have reclaimed antique church pews for sale, also benches, settles and monk’s benches. 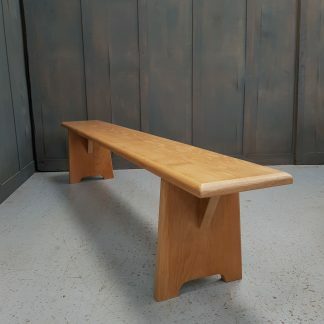 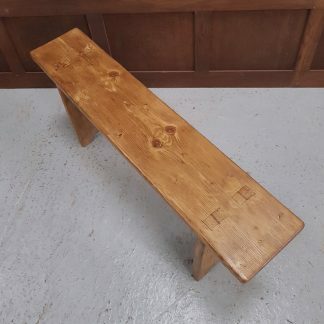 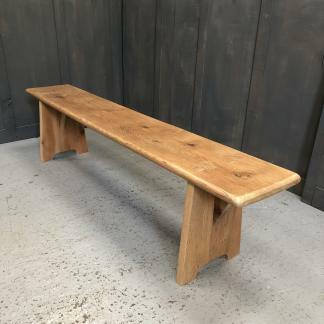 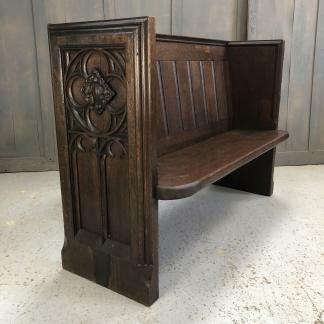 These are sourced from churches Nationwide and make fantastic seating as hallway benches,communal kitchen or dining seating in the home or for commercial use in a bar, pub or restaurant. 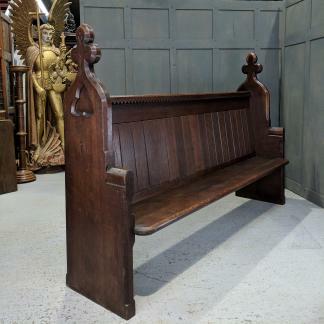 We have the largest selection of original salvaged Victorian and Edwardian antique church pews available anywhere in the UK. 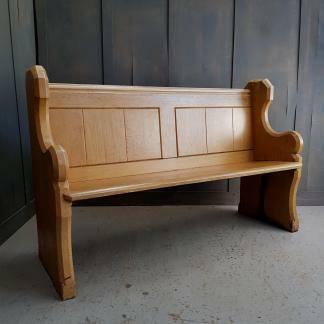 The church pews, seats and benches pictured here are unique examples of the different styles of the local craftsmen and joinery workshops which existed in the days of truly handmade furniture . 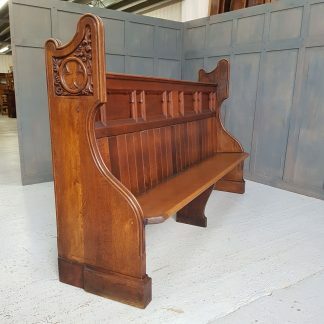 Typically the pews we sell will seat two to four people but we can usually supply pews in any size up to a maximum of 4 metres . 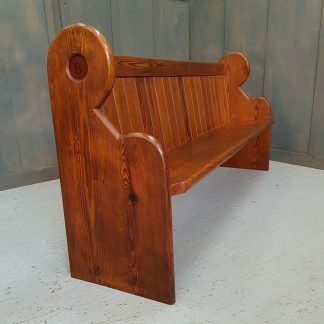 Price given is for the pew shown, longer pews will cost more – the description will indicate how much. 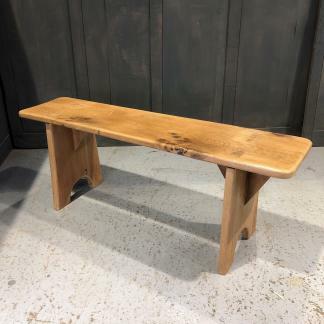 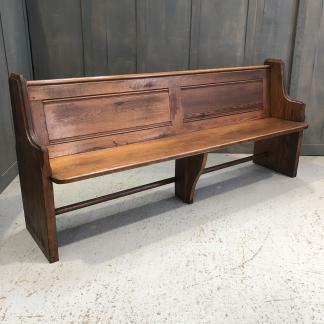 Along with being able to provide bespoke antique pews to your specification, we can also make L shaped and corner pews from the reclaimed timber that we have. 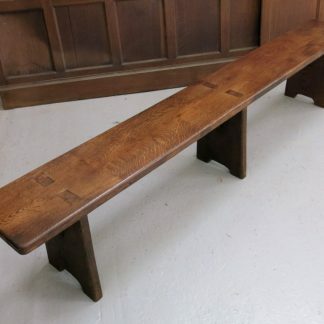 The measurements we give are for the whole length of the pews or benches at the widest point, the highest point (normally the pew ends) and the deepest point (including the pew shelf at the back which can be removed if needed). 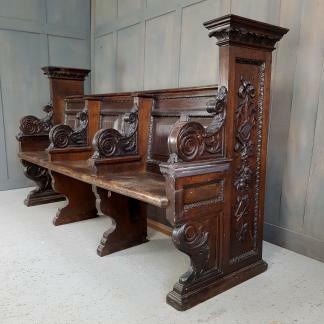 The more decorative and ornate a pew is, the more expensive it is likely to be. 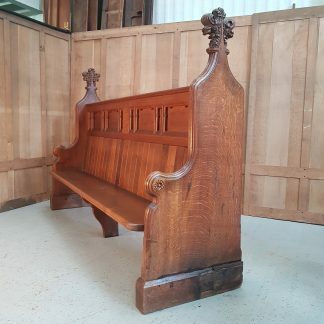 In terms of quality – oak is the premium pew timber , followed by pitch or Baltic pine and yellow pine , these pews come from the largest of cathedrals down to the smallest of churches and chapels. 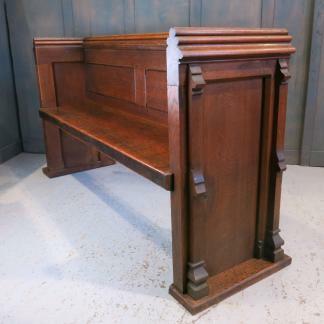 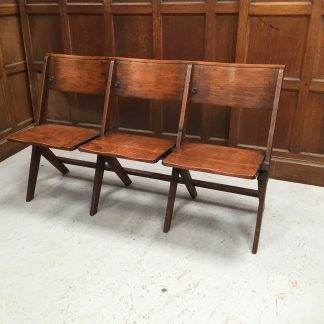 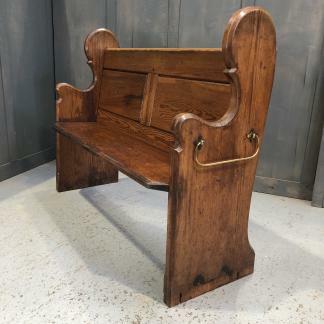 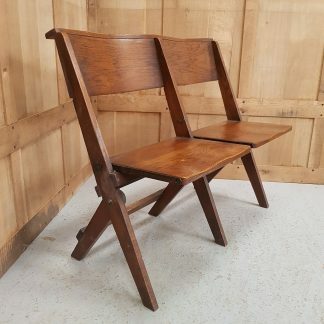 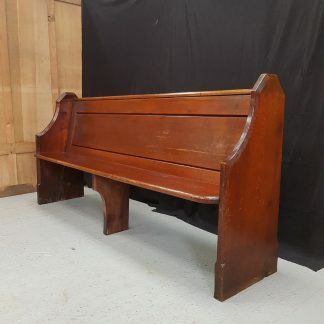 It goes without saying that we are always interested in buying old pews – even sometimes quite modern vintage or retro pews and benches from the 1960s and 1970s.